Who Gets Credit For Change In The LDS Church? There’s an understanding among Latter-day Saints: Change in the Church of Jesus Christ of Latter-day Saints happens from the top when God speaks through his prophet. That’s been the case for a long time — as is it is now with the current prophet Russell M. Nelson — but it hasn’t kept church members from advocating for change. For instance, back in 2013, Amber Choruby Whiteley and a group of Latter-day Saint feminists wanted a woman to pray in the church’s twice yearly General Conference. Women had given talks, but never prayed. It seemed like a simple oversight to Whiteley and others. Whiteley reached out to a few fellow feminists and before long a new Facebook page called “Let Women Pray” had taken on a life of its own. The goal was simple: they were going to collect hundreds of letters asking to allow a woman to pray and then deliver them to top church leaders who they thought would be sympathetic to their cause. Jean Stevens was the first woman to pray at General Conference. Whiteley said Let Women Pray made some Latter-day Saints very uncomfortable. Some members of her local congregation even told her if she didn’t like the way things were, she could leave. That seemed ridiculous to her, she said, because a letter-writing campaign was the tamest form of protest she could have come up with. Despite the pushback, hundreds of letters and emails came in. She and few other organizers delivered the letters to Temple Square in Salt Lake City. And then, literally months later, it happened. 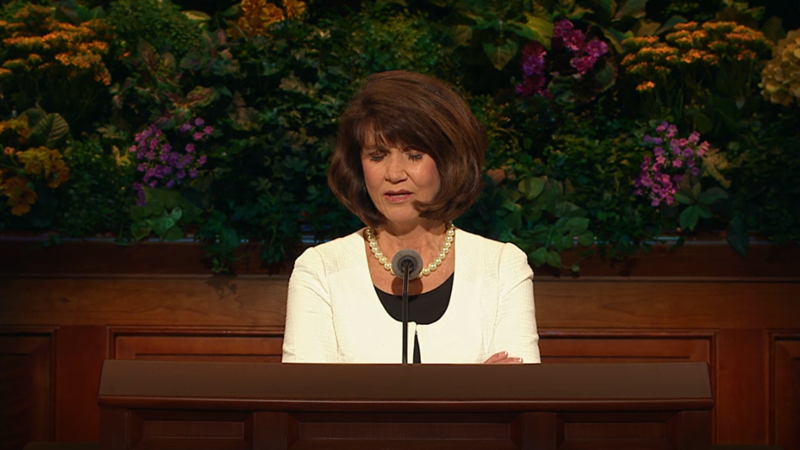 On the morning of April 6, 2013, Jean Stevens became the first woman to pray in General Conference. She was serving in the church’s Primary presidency at the time. There was no fanfare, no special announcement. It just happened. And Whiteley said she couldn’t help but cry. It was incredible to see a change happen so quickly. But no credit was given to the Let Women Pray organizers. In fact, a church spokesman said the movement had no influence on the church’s decision. Whiteley said this is a pattern she has seen repeat itself since. Most recently, former LDS Bishop Sam Young advocated for changes to the sexually explicit questions local leaders sometimes ask youth in one-on-one interviews. He vocally criticized top church officials and even staged a three week hunger strike right outside of Temple Square. The church did revise its guidelines slightly, but said Young had nothing to do with it. And he was later excommunicated, which is the risk Latter-day Saint activists take. 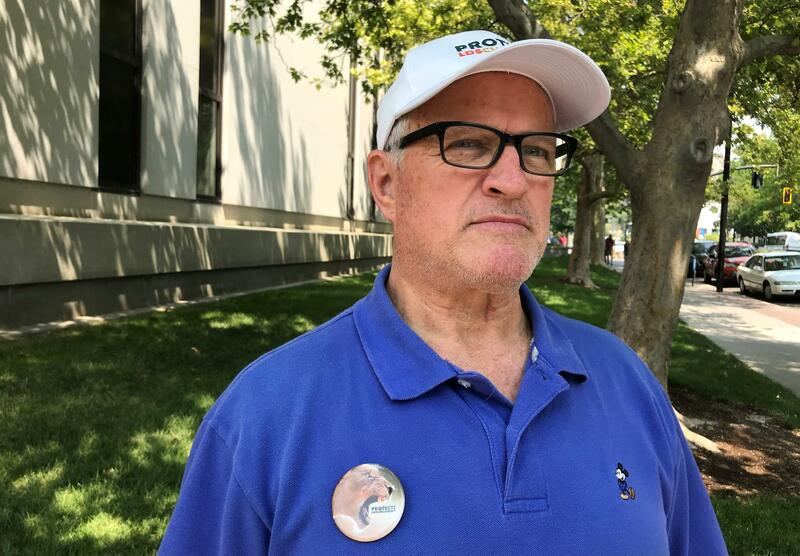 Sam Young staged a three week hunger strike in protest of the Church of Jesus Christ of Latter-day Saints' worthiness interview policies. The church eventually changed their policies but stated that Young's protest did not impact their decision. Lisa Olsen Tait, a historian who works for the LDS Church, said back in the late 19th century and early 20th century getting the attention of top church officials was easier. “That camping idea takes off and takes hold in the Young Women’s program so that by the 1930s camping is an established part of the program,” Tait said. 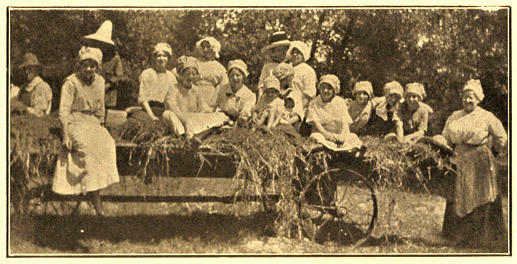 Girls Camp, or Young Women's Camp, became part of Church programming in the 1920s. The Church credits a Salt Lake City ward (camp attendees pictured here) for beginning the tradition in 1912. Back then if a Latter-day Saint had an idea for a change they could easily chat with leaders in Salt Lake City who could either make the change or go directly to the church president. But this was at a time when the church was much smaller, less than a million members total. Things changed in the 60s and 70s when membership more than quadrupled. Church leaders wanted to keep a now-worldwide church from splintering so they introduced something called “correlation.” All of the church’s organizations were streamlined into one. And the power rested fully with top male leaders. “The big thing that happened with implications to the young women’s program was the discontinuation of that line of authority, that line of reporting from the local to the general,” Tait said. The age of grassroots change was over. But to be clear, that example of girls camp wasn’t exactly controversial. Matt Bowman, associate professor of history at Henderson State University in Arkansas, said there’s been a long history of activists petitioning church leaders, especially back in church founder Joseph Smith’s time. Smith dealt with people criticizing the way he led the church and spent their money. He also experienced vocal pushback from members and some top church officials when he introduced the practice of polygamy. And how did he react to that? Many of these activists, like today, were excommunicated by Smith. In turn, sone started their own splinter churches. For the average Latter-day Saint who would like to see change happen, the advice of top church officials is to talk to their local leader, or bishop. “The response to go talk to your local leadership - I don’t think that is useless,” Bowman said, adding that patience and numbers are what’s needed to effect change. Which brings us back to Amber Choruby Whiteley. It’s important to point out that Whiteley hasn’t been a lifelong member of the LDS Church. She joined as a teenager and part of what drew her in was the Latter-day Saint doctrine that each person can receive personal revelation. But it’s not exactly how she sees the church operating today. Instead she sees an organization that is extremely top down. And when church members advocate for a change, if they’re lucky, they might live to see it happen. But they shouldn’t expect to get the credit. For faithful Latter-day Saints, there isn't really a way to petition the Church for change. Activists who make a ruckus run the risk of discipline or excommunication. So, when does activism work? Monday we're asking just how much influence Latter-day Saints have over policy changes within their church. Sam Young, the former Mormon bishop who challenged his recent excommunication from The Church of Jesus Christ of Latter-day Saints, has had his appeal denied, he confirmed Tuesday.